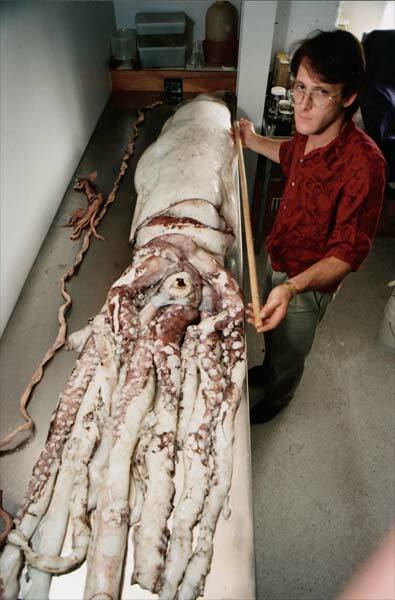 This 300-kilogram female giant squid (Architeuthis species) is being examined by marine biologist Steve O’Shea. Caught on the Mernoo Bank north-east of Banks Peninsula in 1998, it measured 10 metres. Giant squid spend most of their life in deep water and can move at up to 40 kilometres per hour.